For a wonderful trip to Algeria definitely you require a fantastic deal for Flights to Algeria, better accommodation for lodging and budget car on hire to move about the country. You will get that complete package for travel to Algeria at 7-Continents Travel at very reasonable priced means. 7-Continents Travel always has the comprehensive range of direct and indirect cheap flights to Algeria from UK. To make your connections practicable to Algeria on cheaper means, several chartered and well recognized airlines brands have signed up with us such as Air France, Lufthansa, Egypt Air, Iberia, British Airways and many others. After getting off from the Algeria Flights, one definitely need a hotel for accommodation and making it reserved along with flights reservations not only saves you big but also avoids so many troubles. 7-Continents travel gives a great selection of budget and best hotels and lodging services at multiples of destinations in Algeria. There are countless tourists' attractions and sights in the country and to explore them with peace and ease its better to take a car on rent with Algeria Flights package. 7-Continenets Travel also has a sufficient collection of cheap car rent deals in Algeria. 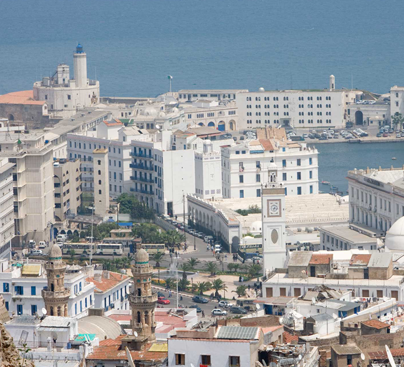 Call now to get a complete travel package to Algeria on bargaining offers. If you looking for low price solution for Algeria then please call us because we have special deals for Algeria from London, which are guaranteed cheapest airfares from UK to Algeria.